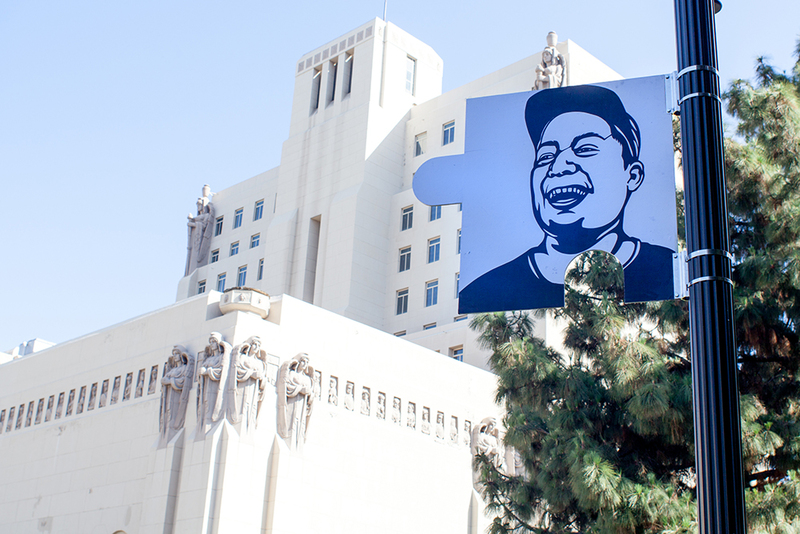 This temporary public art project is a collaboration between Sonia Romero and students from the program LA Commons. The students participated in public outreach, learned the technique of linoleum cut print, and produced the graphic images on one side of the puzzle pieces. On the other side, Sonia Romero created the portraits of the students themselves. There are 12 puzzle pieces hung throughout Macarthur Park. The pieces all fit together to create one rectangular puzzle. 2013, wheat paste copies on wood.